Need to secure your valuables and arms? 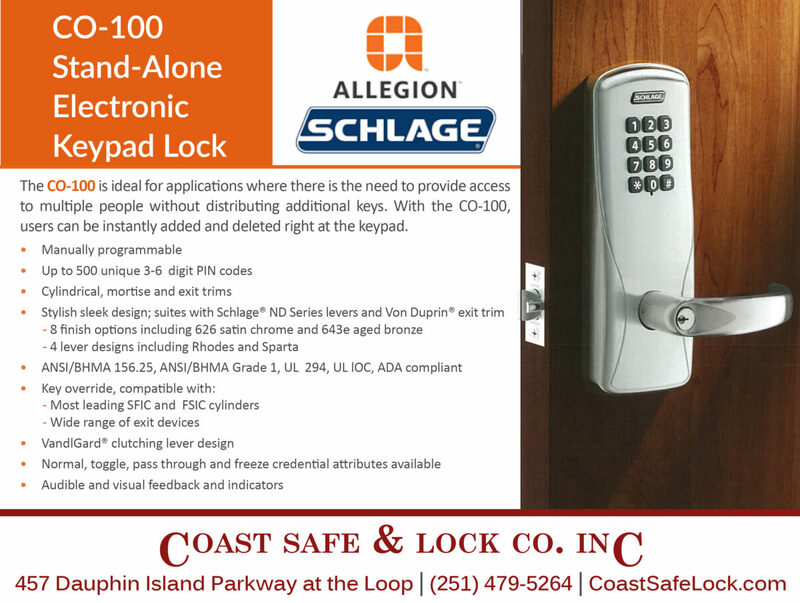 Visit Coast Safe & Lock to view our wide selection of safes for home or business. From Hollon to AmSec, Cobalt, Gardall, and Hayman, we have the safe to protect your most prized assets. 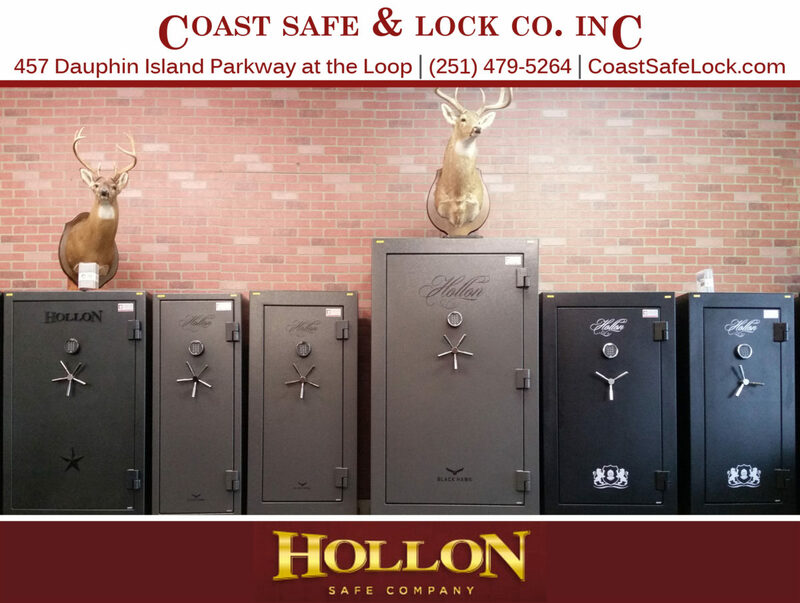 Visit our showroom at 457 Dauphin Island Parkway to pick out your new safe today. 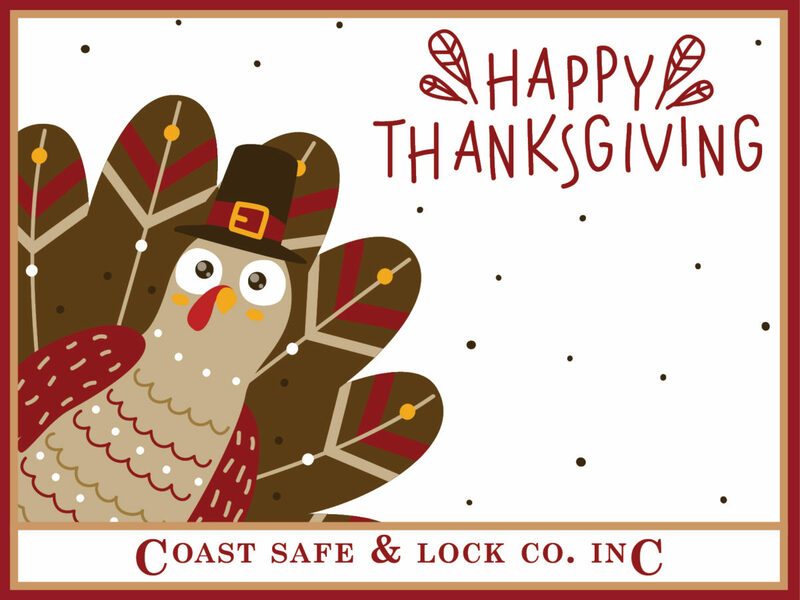 Happy holidays from Coast Safe & Lock! The new year is nearly here and it’s time to review your annual goals. As a business owner, you understand it takes more than just growing each year to achieve success; you must preserve the company you’ve already built. This requires comprehensive security planning to protect your business, employees, and assets from damage, injury, and theft. 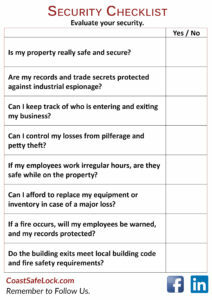 As you evaluate your plan, ask yourself these questions from our Security Checklist, then call Coast Safe & Lock for a complete security consultation. 1. Is my property really safe and secure? 2. 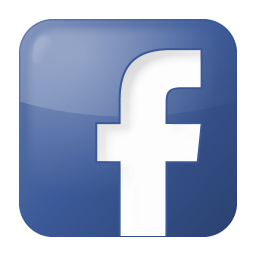 Are my records and trade secrets protected against industrial espionage? 3. 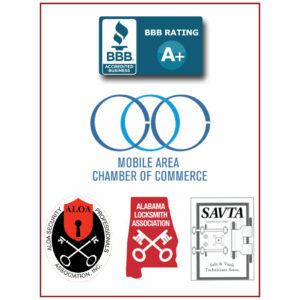 Can I keep track of who is entering and exiting my business? 4. Can I control my losses from pilferage and petty theft? 5. If my employees work irregular hours, are they safe while on the property? 6. Can I afford to replace my equipment or inventory in case of a major loss? 7. If a fire occurs, will my employees be warned, and my records protected? 8. Do the building exits meet local building code and fire safety requirements?